jojoebi designs: Possibly the easiest recipe ever! Possibly the easiest recipe ever! Ebi-kun has recently got a think for coconut and I managed to find a big bag of it in a new shop in town, so he has been trying it on anything and everything. 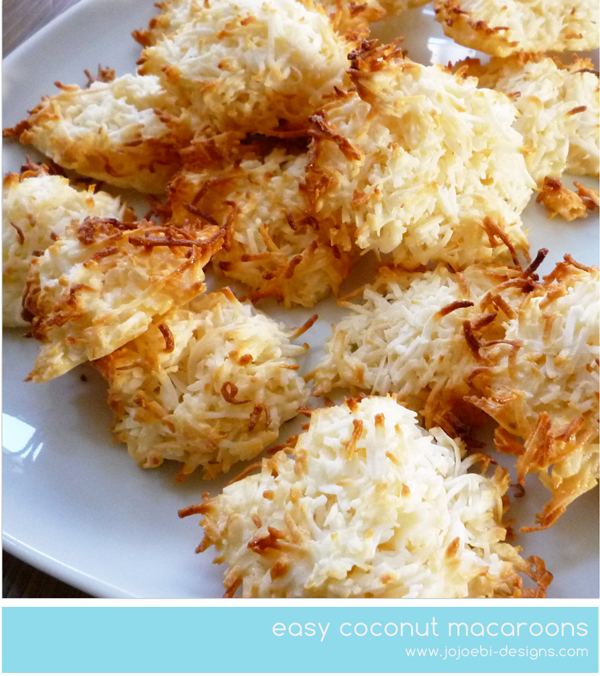 The other day someone on Facebook posted this recipe for coconut macaroons. 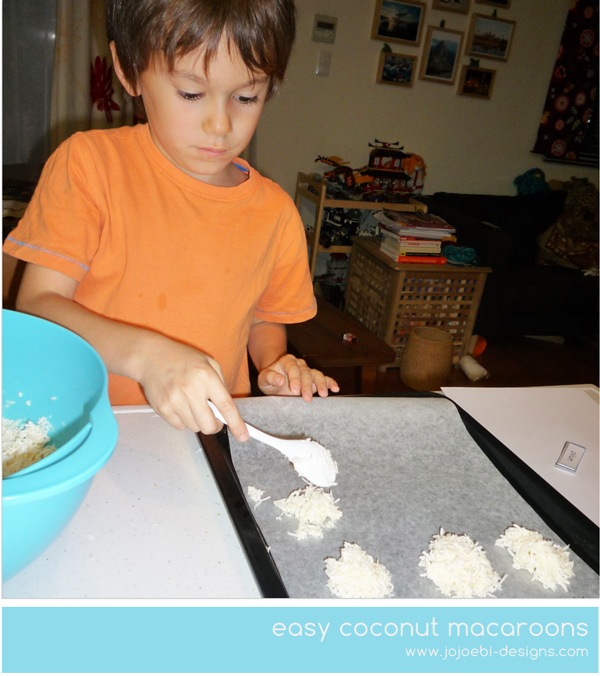 It is the easiest thing going and I am sure any budding toddler chefs could get in on the act. I actually halved the recipe since there are only 3 of us. Throw everything into a big bowl and mix until well combined. Drop dollops of the mix onto greaseproof paper on a baking tray. Pop on the pre-heated oven 180∘c for 8 to 10 minutes. Keep an eye on them because they do brown really quickly. Cool. Eat. Repeat! 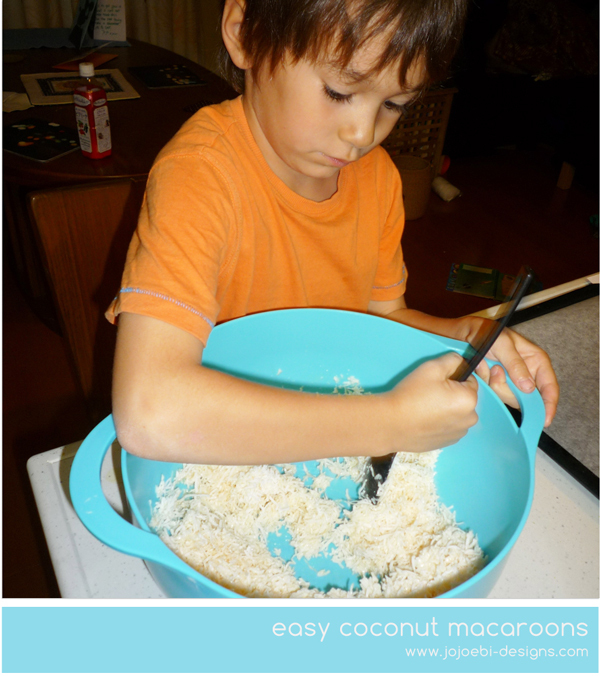 Do you have a super easy, toddler/kiddie friendly recipe? Please share in the comments section. Not a recipe, as such.